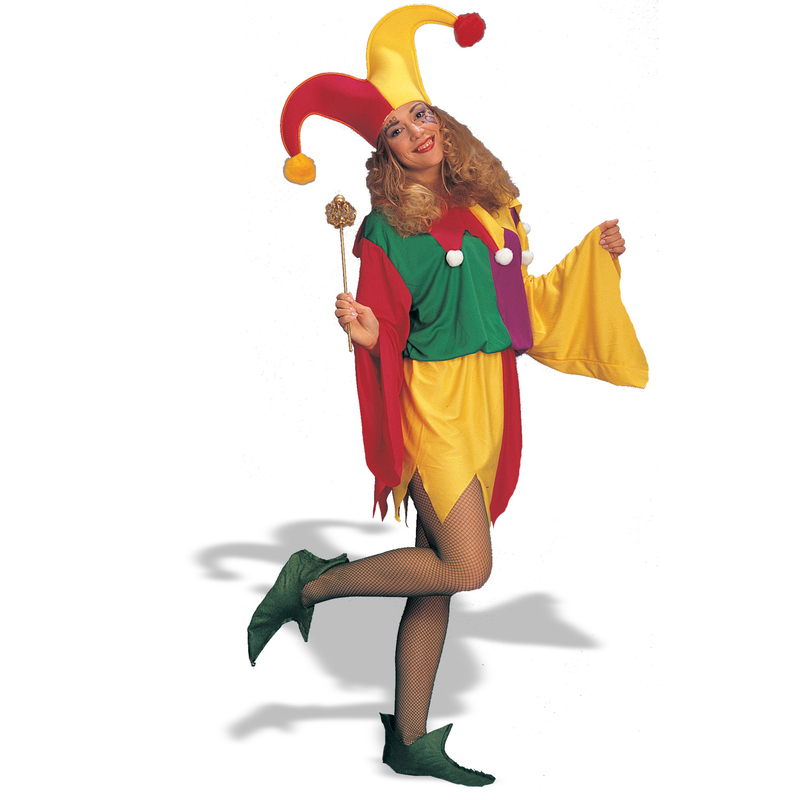 Bright, multi-colored jester has elastic waist with jagged hem and full sleeves. Matching hat and collar are accented with pom-pons. Shoes, green fishnet tights, and scepter (differs from shown) sold separately. 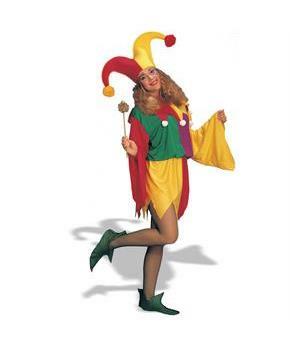 This is a unisex costume for both men and women.